Location: Norwich, Status: On-going, Scale: 670 residential units. 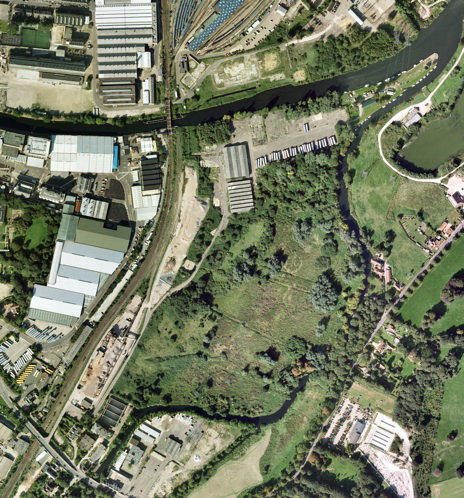 An international team, combining Dutch and UK architects have developed plans for the redevelopment of a 19 hectare brownfield site - The Deal Ground - on the outskirts of Norwich City Centre. The proposed development will form a transitional edge between the city and the Norfolk Broads, locating flood resilient homes around ecological swales that drain into a ‘County Wildlife Site’ marsh. 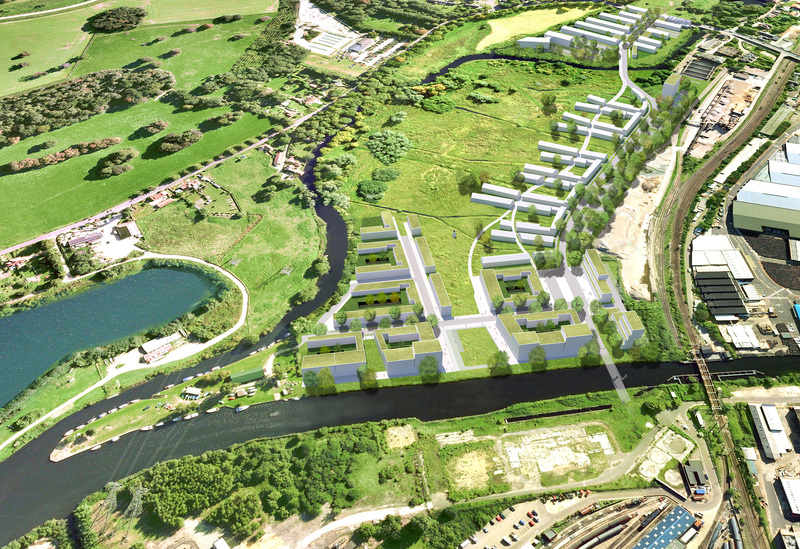 The new development will help to reduce flood risk to other areas by absorbing water on site. sustainable integrated planning and design. Funding from the Technology Strategy Board was used to develop the building design to cope with Climate Change, this work won the RIBA research award 2014.
landmark sustainable community of national importance. The masterplan had to respond to multiple issues with an integrated and effective solution which both secured the local authority requirements and developers profit. This was achieved through the scale of development, tempered by sensitive design. The design team engaged with key stakeholders early in the process, in particular Norwich City Council & Broads Authority & South Norfolk, Anglian Water, The Environment Agency, & Local Residents Group to address their concerns. Various consultation approaches included direct meetings, presentations, pamphlets and workshops.